The limitation on publishing repeated fields to datasets (and on to Google), because repeated fields often contain some of a form’s most important information. Repeated fields will be published in wide format so that it’s easy to work with (e.g., a repeated name field might be published into name_1, name_2, etc. columns). The limitation on publishing more than 81 fields to a dataset (and on to Google), because long forms also deserve automated quality checks and excellent options for publishing to and visualizing in Google. Now you can publish a theoretically-unlimited number of fields to datasets and on to Google. Removal of the first limitation (on form updates) should make essentially everybody’s life easier, because everybody revises forms. The other limitations, on publishing, should open datasets, quality checks, and Google publishing to a greater number of potential users, users who had been put off by the inability to publish repeated fields or by the restriction to no more than 81 fields. 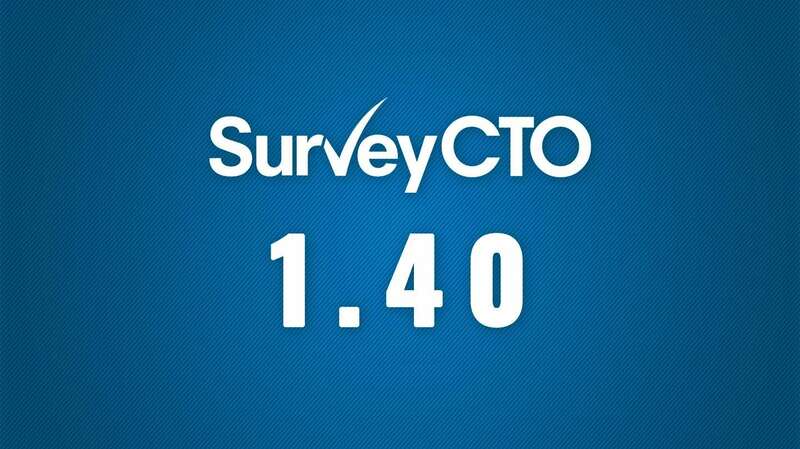 There were a range of other, smaller features and updates, so see the release notes for a full list. Next up: massive improvements to our user interface, particularly on the server. We’ve kept adding features over the last few years, and things have become a bit too complicated (for new users in particular). 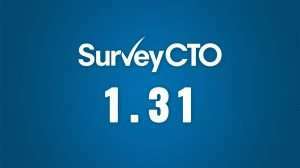 So we’ve taken a step back and thought about how to better organize the features, the online help, and the overall SurveyCTO experience. 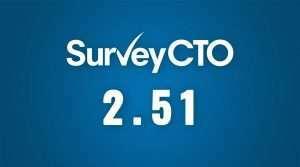 We may have a small maintenance release or two on the way, but our next big release will be SurveyCTO 2.0. 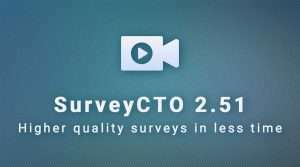 Next Post2.40: New review and correction workflow and more!